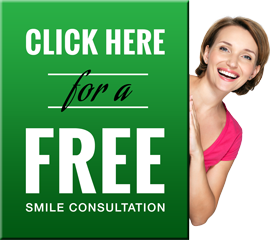 Advances in modern cosmetic dentistry have created many simple, non-invasive teeth whitening solutions. Teeth whitening in Lansing is a simple, non-invasive procedure, helping to brighten your teeth and rid your smile of any stains or discolorations. Although there are several at-home teeth whitening options, in-office bleaching can provide noticeable and lasting results with just one visit. teeth whitening has helped thousands in Lansing and millions across the country feel better about their teeth, smiles, and overall appearance. Teeth whitening has become a part of routine dental care for millions of people. It is a simple way to adjust the color of a few, or all of your teeth. It’s important to note that teeth whitening is effective only when applied to natural tooth enamel. So if you have old crowns, implants, fillings, etc., it will be important to factor in the color and or shade of your restorations in order to match your natural teeth. There are many options when evaluating teeth whitening systems. With out question the most popular and effective option is Zoom! Teeth Whitening system that can be applied as an in office procedure by Dr. Hubbard and his staff as well as a take home teeth whitening system. Zoom! is extremely effective and you will notice dramatic results. Keep in mind that teeth whitening is not permanent. Depending on the desired outcome, a touch-up maybe needed every several years, and more often if you smoke, drink coffee, tea, or wine. Do you simply want to brighten your smile? Do you want to gain confidence in your overall appearance? Typically the procedure from start to finish takes about 90 minutes. Cosmetic Dentist Dr. Hubbard recommends a cleaning prior to the procedure, which can take place on the same day or on a prior visit. The Zoom! procedure begins with a short preparation period followed by approximately 45 minutes of bleaching. While Dr. Hubbard often uses Zoom! during dramatic makeovers that involve extensive restoration, it is typically used in more day to day applications in which simple teeth whitening or tooth lightening is the desired outcome. The process involves applying whitening gel which contains hydrogen peroxide that in turn lightens the color of the tooth. The application also involves a safe and non-invasive light which activates and accelerates the gel to achieve a more dramatic result. Typically the procedure from start to finish takes less than an hour. Cosmetic Dentist Dr. Hubbard recommends a cleaning prior to the procedure, which can take place on the same day or on a prior visit. The Zoom! procedure begins with a short preparation period followed by approximately 45 minutes of bleaching. The at home version of Zoom! Teeth Whitening usually requires two visits. During your initial visit impressions (molds) will be made of your teeth to fabricate custom, clear plastic, trays that will be used during the self-application at home. During your second appointment, the trays will be tested for proper fit, and adjusted if necessary. After the trays are filled with the whitening gel they are worn twice a day for 30 minutes or overnight for a period as long as two weeks depending on the desired level of whitening. Cosmetic dentists Dr. Gary Hubbard recommends that you consult with them to discuss the pros and cons of the take home or in-office processes. In many cases a combination of the two is appropriate. It is important to note that most people experience tooth sensitivity during whitening, this is normal and typically subsides shortly after you have stopped bleaching. To learn more about East Lansing dentist Dr. Gary R. Hubbard, teeth whitening, or any of the high-quality cosmetic dental services we offer, please contact us here or call us directly at 517.332.2422.